Review of Dean Becker, To End the War on Drugs: A Guide for Politicians, the Press, and the Public (DTN Media, 2014), iv + 337 pgs., paperback. It was a hundred years ago this month that Congress enacted the Harrison Narcotics Act to make the importation, manufacturing, sale, and distribution of cocaine and opiates illegal without being registered with the Bureau of Internal Revenue, recording each transaction, and paying an annual tax and licensing fee. 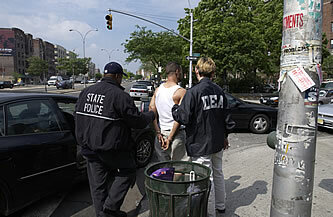 This was the federal government’s first major salvo in the war on drugs. Dean Becker has just launched his own salvo, but in the opposite direction. He is a man on a mission—a mission to end the drug war. His new book, To End the War on Drugs, will tell you why Bush drug czar John Walters refused not only to consent to an interview, but to even talk to the author. To End the War on Drugs will tell you a lot of things by a lot of people. This is because of its unique interview format. But before getting into that, first a word or two about Dean Becker and what he thinks about the government’s war on drugs. Becker, an Air Force veteran who became a reporter after he retired from industry, discovered DrugLibrary.org back in 1997. With this discovery, he found his true calling: to end the drug war. He founded the Drug Truth Network and began broadcasting his message on the radio. He has since expanded into television with “Unvarnished Truth,” a weekly, one-hour program. Becker also speaks on behalf of Law Enforcement Against Prohibition (LEAP) since he was a police officer in the service. “The Drug War is a pipe dream of men who died long ago. It has become a quasi-religion, a belief system that attracted many adherents within law enforcement and the criminal justice system to speak from ignorance or bigotry in steadfast support of primitive screeds, platitudes, and irrational tradition. Given the overwhelming evidence, there is no other explanation other than the drug war is a sham, scam, film-flam, hoax of Biblical proportion. Forces at every level of government in the US and nearly so worldwide are in league for profits and power derived from the continuance of the war on drugs. The horrors we inflict on ourselves via this policy are enormous, outrageous and obvious as hell. The Drug War is vacuous, hollow, and a horrendous mistake. We have been force fed 100 years of clap trap, balderdash, poppycock and absolute horseshit presented as science, commonsense and reality. Nearly all the harms ascribed to drugs are the result of drug prohibition. The drug war is a type of mass hysteria that has led us to a decade-long wave of mass psychosis that benefits millions of profiteers and allays the fear and social bigotry of the masses. Read more via Ending the War on Drugs | LibertarianChristians.com.